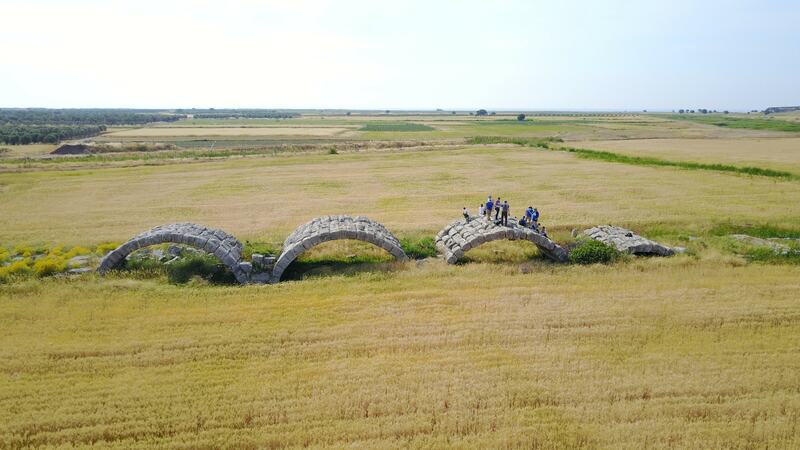 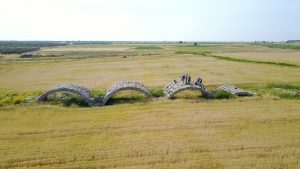 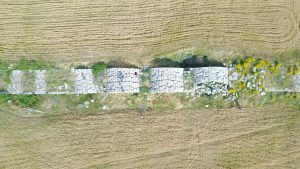 A well-preserved Roman bridge with ramps stands in a field 13 miles (21 km) south of Troas and below the modern channel of the Tuzla River. 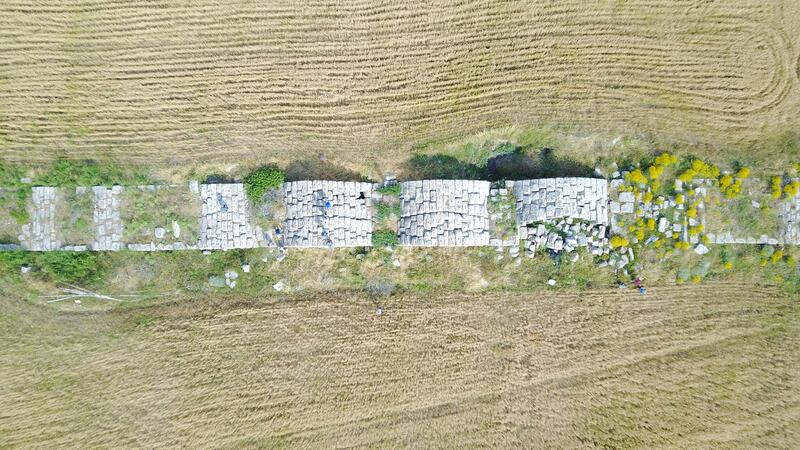 The riverbed of the ancient Satnioeis River has shifted some 197 feet (60 m) northward over the centuries. Fifty years ago, seven arches of the bridge were visible. 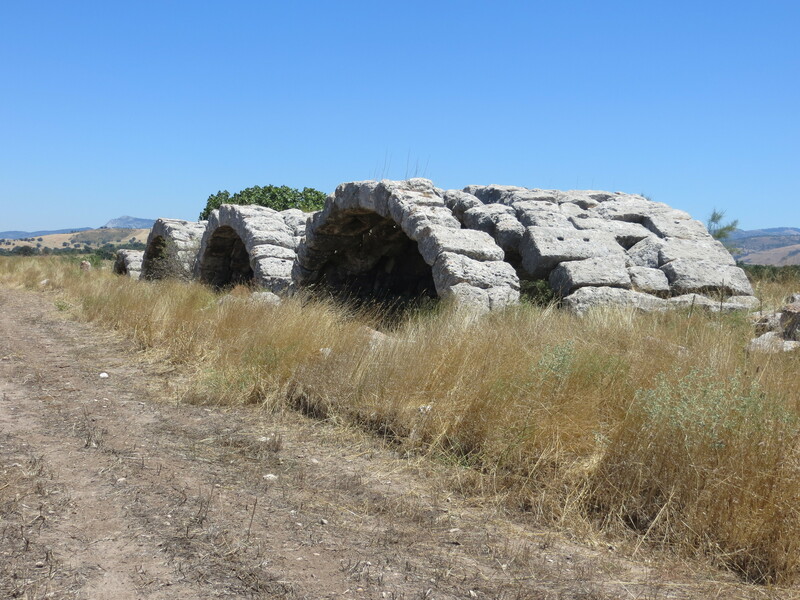 The other two were excavated in 1986. 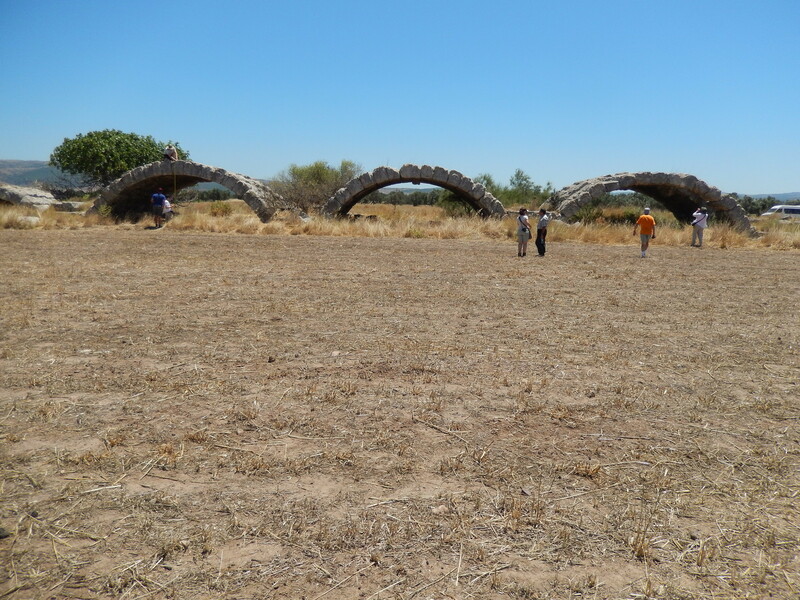 The three central arches are higher and larger than the other because they apparently spanned the main channel of the river. 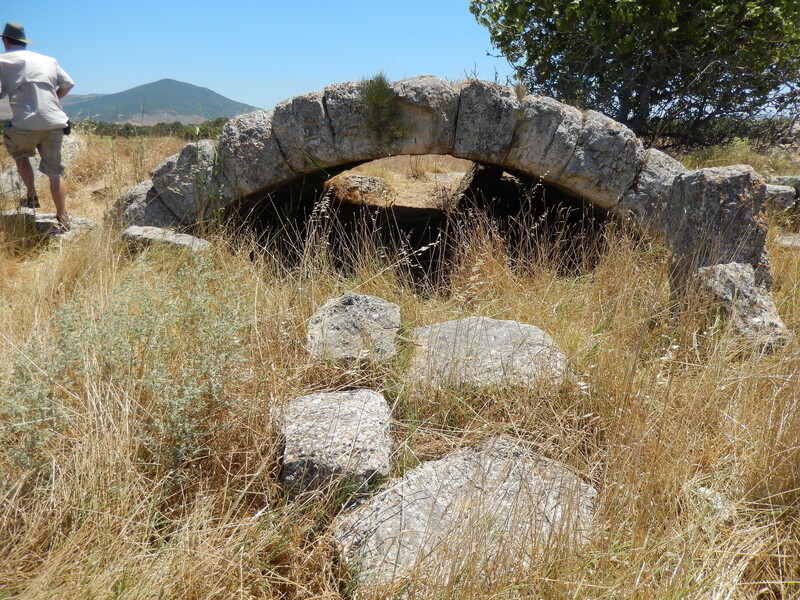 The lack of any ruts made by metal-wheeled carts and chariots indicates that “the bridge was intended for pedestrian traffic along the Sacred Way between these two sites where the cult of Apollo Smintheus was worshiped” (Gürdal).